by Brian Snyder • As details of the recent healthcare reform legislation trickle down from Washington, employers are wading through the flood of legal and financial consequences that this law could have on their current and future employee benefit offerings. by Joseph Berardo, Jr. • Self-funding plans are an obvious solution for brokers who are feeling the squeeze on commissions. Employers can continue to benefit from the guidance of brokers who understand how to navigate the shifting healthcare landscape. by Leila Morris • We ask the top companies in the state essential questions about coverage and services that affect you, the broker. Read on to ﬁnd out what plans will work best for you and your clients. by Joe R. Deyo • Employers and employees want to understand their dental plans and they enjoy the good value they get from them. But they don’t want any of the not-so-nice surprises after they sign up or leave the dentist’s office. by Stephen E. Terrell • Today, a life insurance agent in California who recommends a settlement must be working directly with a settlement provider; secure a broker license with the state; or become duly authorized with producer authority by the California Department of Insurance in order to earn any type of fee or consideration for the referral. by Sima Reid • A number of provisions have already been implemented under the Patient Protection and Affordable Care Act (PPACA). Now in 2012, another provision of the law will be implemented. by Kenneth A. Shapiro • Whoever said, “Many people look forward to the New Year for a new start on old habits,” may have gotten it right. While beginning a new year may be little more than a faint line in the sand, it can be useful for adjusting old business habits and assumptions in light of changing conditions and new opportunities. by Lawrence Schneider • Guaranteed renewable only policies allow carriers to raise their rates if claims and other negative factors increase – allowing them to remain profitable. The better policies are also non-cancelable. This combination allows the rates to be guaranteed up to age 65 and without any contractual changes. The cost difference between the two types is about 20%. By Ed Ryska • You might ask: Why as a benefits broker do I need to know about a Property Casualty coverage like Workers’ Compensation? First: If you sell or plan to sell Workers’ Compensation or if your brokerage/agency has a Property/Casualty division servicing your client, you need to coordinate and understand the total insurance program and how it affects your client. As details of the recent healthcare reform legislation trickle down from Washington, employers are wading through the flood of legal and financial consequences that this law could have on their current and future employee benefit offerings. The Patient Protection and Affordable Care Act (PPACA) is laden with a number of new requirements, such as an employer mandate and unknown future costs. It is prompting many employers to take a hard look at what they’re doing and what they’re paying for employee benefits. While cost-sharing and cost-shifting are common strategies, some small and midsize employers are taking an even bigger plunge into an alternative method of funding that once was feasible only for big companies: self-funded healthcare plans. In a self-funded plan, the employer – not the insurance company assumes the risk and cost fluctuations associated with their healthcare plan – Plan costs can fluctuate by month (or even by week), depending on the medical claims submitted by the company’s employees. Several recent studies highlight this trend. The 2010 UBA Employer Opinion Survey found that 17.5% of respondents have a self-funded plan while 12% said they would like to implement one someday. A separate 2010 study by the Kaiser Family Foundation found that 16% of companies with three to 199 employees were partially or fully self-funded, compared with 12% in 2008. While terms like “assuming all risk and cost” and “costs can fluctuate” may seem a bit jarring to some employers, the advantages of self-funding over fully insured coverage can be significant, according to Cathy Jackson, vice president at Atlanta-based Arista Consulting Group. With healthcare reform changing the benefits landscape, employers have even more incentive to explore self-funding options because it offers some relief from compliance issues and the possible new costs associated with reform. In 2014, PPACA will require fully insured plans with fewer than 100 lives to adhere to “community rating” rules, which means the cost of insurance will not be based on health factors, according to the Congressional Research Service (CRS). Rates will vary only by age, tobacco use, self-only or family coverage, and region, the CRS reported in a June 2010 paper. Jackson said, “Community rating will further disadvantage an employer that has a healthy workforce in that some of the demographic features that are inherent in fully insured contracts will not count. Self-insured contracts allow the employer to pay healthcare costs based on the claims of their company. A self-insured contract would help to avoid [community rating] for healthy employers.” Jeff Hadden, a partner of Indianapolis-based LHD Benefits, said the community rating and other reform-related changes could have a major impact on future costs for employers in fully insured plans. The increased control and flexibility that a self-funded plan can offer are major factors in wellness success, Arista’s Jackson added. “For wellness programs, it’s hard to show return on investment. Employers spend money on it and they want to know if they’re going to get their money back. When you’re small and your costs are pooled in a fully insured plan, wellness isn’t going to have an impact unless everyone’s doing wellness. In self-funding, you can have a lot more control and success with wellness. Also, self-insured contracts allow more flexibility in plan design, thus participation in wellness programs can be encouraged with higher deductibles or out-of-pocket costs for healthcare services for those not participating,” Jackson said. This wellness edge is likely to prompt more companies that are concerned about their workforce’s health to consider self-funding seriously, Hadden said. “Self-funded plans will become more common and provide more control. The sickest groups will remain fully funded and will rely on community rates and mandated medical loss ratios. Self-funded plans rely on a healthy group, so wellness programs are in their best interest,” Hadden said. Once a company decides to move to a self-funded plan, it must decide how much risk it can stomach and how much protection it needs. Stop loss insurance provides a cap on how much a company must pay on claims. Companies can purchase specific stop loss insurance (which covers large, individual claims) and/or aggregate stop loss insurance, which covers a company’s total claims under the specific stop loss insurance for a given period. Many stop loss insurance carriers have reacted to the shift by offering small and midsize employers self-funding programs with lower levels of stop loss coverage for employers with as few as 25 employees, Hadden noted. Employers need to take a hard look at stop loss because it protects their plan and their cash flow, Jackson said. “For a small group, stop loss insurance is very critical. A premature baby can cost $800,000 if you don’t have limits on your liability to fund that claim. If you don’t have limits, your cash load could be hugely different from when you were just paying a static fully insured bill. I’d say for a group up to 1,000, it’s vital to have coverage for specific and aggregate claims,” Jackson said. While that $800,000 claim might be uncommon, employers must analyze their situation carefully to ensure that they have enough coverage to cope with surprises. “With specific stop loss, you want to be able to afford that one large claim. The rule of thumb is 10% of your claims. So for a company with 50 employees that has claims of $400,000 or less, I’d say 10%, or $40,000, is adequate. You might have some employers who don’t want to cover that much. It depends on their situation, and whether they know if a big claim is likely,” Jackson said. Also, a self-funded contract requires the employer to conduct annual discrimination testing in regard to benefits and contributions for non-highly compensated versus highly compensated employees. “It is not as easy to create classes of employees for the purpose of rewarding management or highly paid individuals under these contracts,” Jackson added. It can be challenging for employers to develop processes to reconcile bills and funding claims, to update documents for changes in legislation, and to choose the right stop loss insurance coverage, especially for small and midsize firms that don’t have much experience in self-funding. That’s where an experienced benefit adviser can help, Jackson said. “Stop loss is so important and employers need someone who can look at all the particulars, to understand the liability, and to know what protections are in place. A thorough review of these contracts is very important. Advisors also help to calculate reserves, develop financial projections, negotiate rates and fees, and use benchmarking tools to create a plan design that fits the objectives of the client,” she added. Brian Snyder is United Benefit Advisors (UBA) communications manager. Firms mentioned in the quotations (Cornerstone Group, Arista Consulting Group, and LHD) are UBA member companies. For more information, visit www.UBAbenefits.com. Brokers are beginning to feel the squeeze in response to the medical loss ratio (MLR) provision under the 2010 Patient Protection and Affordable Care Act (PPACA). The new law requires insurers to spend 85% of large group revenue and 80% of individual and small group revenue on healthcare and quality improvement efforts. Brokers say that health insurers are citing this provision as a reason to slash producer commissions or eliminate them altogether. Given the rapidly changing marketplace, the brokers’ ability to assist health insurance consumers has never been more critical. Medical benefit providers and employers are unclear about the impact of PPACA while wages and profits continue to flat line and health insurance costs continue to spike. The average annual premium for family coverage through an employer reached $15,073 in 2011, an increase of 9% over the previous year, according to a recent study by the Kaiser Family Foundation. With no sign of a trend reversal, a growing number of businesses are opting to self-fund. The good news for brokers is that self-funded programs are immune to the PPACA’s medical loss ratio requirements. Brokers can build in a fixed amount of compensation per employee in order to stabilize commissions even if total plan costs decrease. This creates a win-win: brokers are compensated fairly for the value they add while companies gain greater control over healthcare costs. • Greater Cash Flow – Self-funding employers see increased cash flow. Under self-funding, a plan can delay payment of recurring health plan costs until services are rendered. Any profits or generated interest from monies can be allocated into a tax-free reserve at the employer’s discretion to offset future healthcare expenses. • Plan Design Flexibility – Self-funding allows employers to customize a plan that meets the preferences of the workforce and change coverage as needed. Employers can decide what to cover and what not to cover, whether it’s certain vaccinations, chiropractors, injectibles, obesity, or infertility. In other words, high-cost benefits that employees do not value can be eliminated and replaced with coverage that participants particularly want – often at a lower cost. • Employers can personalize and manage their health plans to control long-term costs. In a self-funded plan, employers can integrate overall strategies, biometric screenings, health risk assessments, chronic disease management, and prevention initiatives tailored to employee demographics including age, gender, and needs, such as single or family coverage. • Portability – With self-funding there’s no disruption in plan coverage when employers shift among reinsurance carriers, meaning there’s no need for new I.D. cards, booklets, and doctors. • Simplified Administration – Self-funding is also simple to administer. Employers with more than one office can offer the same plan to every employee in every location with one national network or with multiple local PPOs with the same benefit plans. • Data Analytics – Self-funded firms can access data analytics, which are generally not provided by carriers. Sophisticated software and investigative techniques enable employers to identify areas in which they can adjust plan spending and make decisions using data including lab results, doctor visits, inpatient/outpatient days, disability, workers comp, and absenteeism in order to identify gaps in care and change individual behaviors. • Risk Control – Self-funded employers do not purchase conventional insurance, but pay claims directly and maintain a reserve fund to offset future medical expenses of their workers and families. Medical expenses can also be paid out of current cash flow as claims arise. To prepare for catastrophic losses, self-funded companies buy coverage, called “stop-loss,” which indemnifies an employer from the burden of severe or frequent claims. Reimbursements can be made for a variety of benefits including medical, prescription drug and dental, among others. Stop-loss insurance allows a plan to set a maximum loss level on any specific situation or on the aggregate of the whole group for high-dollar medical claims such as transplants, leukemia, renal failure, and premature births. Under fully insured plans, employers pay fixed monthly premiums to insurance carriers that assume the responsibility and related risks for paying employee claims. • Arranging managed care services, such as access to PPOs, coverage for alternative treatment programs including acupuncture and chiropractic services, prescription drug card programs that offer cost-saving opportunities, and utilization review. Equally important, self-funding employers should partner with a health management firm that offers secure data analytics for both remote and real-time care. The firm should also provide an inexpensive way to coordinate online tools that identify at-risk members, their patterns, and treatments for their various ailments – from diabetes to heart conditions. Self-funded employers can evaluate employee information, such as age, chronic illness, risk factors and gaps in care with the right data analytics offered from a proven health management company. They can also update medical conditions; compare previous costs to projected expenditures; and intervene with optimal prevention and wellness programs for the workforce populations. • Access to a broad provider network. • Integrated solutions that include claims adjudication, eligibility management, and client/customer service. A solid partner also provides decision-support tools, remote monitoring tools, and real-time care based on the common sense notion that effective care continues even after the patient leaves the doctor’s office. With personalized medical care, patients and physicians can make better healthcare decisions and tailor preventive, wellness, and treatment methods. • Evaluate health data securely. • Analyze all available hospital, medical, pharmacy, and lab data available for a population. • Identify key health issues for the company and categorize at-risk members. • Compare previous health costs to future projected healthcare costs. • Help develop a wellness plan to address key health issues. The goal is to design a wellness strategy for each at-risk member to improve health and reduce costs. A health advocate can be assigned for members who opt-in to their personal program. Along with many online resources, members should be encouraged to address their health issues and use their medical benefits to the fullest. Such an aggressive and meaningful health management strategy offers flexibility and greater control over spending. It is quickly becoming the option of choice for any business that wants to continue providing affordable coverage to employees without compromising profitability. 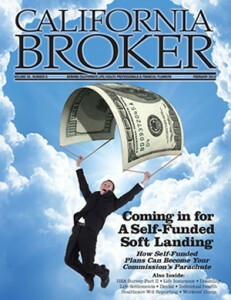 Self-funding plans are an obvious solution for brokers who are feeling the squeeze on commissions. No matter what the total cost of the plan, compensation per employee remains stable. Employers can continue to benefit from the guidance of brokers who understand how to navigate the shifting healthcare landscape. Joseph Berardo, Jr., is chief executive officer and president at MagnaCare (www.MagnaCare.com). He is responsible for the strategic management and financial performance of MagnaCare’s business operations. He can be reached at (212) 867-3606. Welcome to Part II of our annual HSA Survey. We asked the top companies in the state essential questions about coverage and services that affect you, the broker. Read on to find out which plans will work best for you and your clients. Blue Shield: In order to ensure our members consistently receive excellent customer service, we have a number of service level agreements in place as part of our relationships with Wells Fargo and Health Equity (e.g., performance agreements for average speed of telephone response). HealthEquity: For larger clients, our service guarantee levels are negotiated during the contract phase. We pride ourselves on meeting or exceeding all service guarantee levels. HSA California: HSA California’s customer service team is committed to outstanding service and 100% customer satisfaction. Our expert staff is available between 8 a.m. and 5:00 p.m., Pacific Time, Monday-Friday, for personal assistance by calling 866-251-4625. Kaiser Permanente: We do not offer service guarantees to the Individual, Family or Small group markets. SeeChange Health: We strive to provide excellent service on all of our health plans. Sterling HSA: Sterling offers a full money-back guarantee of up to 12 months of paid monthly maintenance fees if our accountholders are unhappy with our service for any reason. Sterling was the first HSA administrator to offer such a guarantee and made this commitment when the company was founded in 2004. Cigna: There are no minimum deposit or balance requirements. Contributions to the HSA can be funded through employer facilitated pre-tax payroll contributions (EFT/ACH transactions) or through unscheduled deposits in which participants arrange for an EFT. HealthEquity: HealthEquity is the custodian; we have depository arrangements in place and have used depositories recommended by our health plan partners. HSA California: There is no minimum balance requirement to open an HSA, and no minimum deposit requirement for employer groups. Kaiser Permanente: Our preferred financial administrator for HSAs, Wells Fargo, does not require minimum deposits for employer groups with payroll deduction. The minimum deposit of $100 is required for individual and family plan members not enrolling through an employer group. SeeChange Health: This will vary based on the HSA administrator chosen by the member. Blue Shield: Blue Shield is headquartered in San Francisco, California. CIGNA: CIGNA HealthCare is headquartered in Bloomfield, Conn.
HealthEquity: HealthEquity is headquartered in Draper, Utah. HSA Bank: We are headquartered in Sheboygan, Wisconsin. HSA Bank is a division of Webster Bank, N.A. headquartered in Waterbury, Connecticut. HSA Bank: We are headquartered in Sheboygan, Wisconsin. HSA Bank is adivision of Webster Bank, N.A. headquartered in Waterbury, Connecticut. SeeChange Health: San Francisco, California. Sterling HSA: We are a California owned company and are headquartered in Oakland, CA. We serve clients nationwide and have sales representatives in the Southwest, Northeast, Midwest, and California. HealthEquity: Brokers who would like more information can contact HealthEquity’s Broker Sales Team at 877-949-6727 or dcoffman@healthequity.com. HSA Bank: Call David at (949) 374-2853 or email him at ddrzymkowski@hsabank.com. Or, call our Business Relations team at (866) 357-5232 or email businessrelations@hsabank.com. Our HSA experts are dedicated in the support of brokers and your employer groups. We’re here to help you! HSA California: Brokers can call us at (866) 251-4625 between 8 a.m. and 5 p.m., Pacific Time, Monday-Friday, or e-mail us anytime at sales@hsacalifornia.com. Brokers can also visit us online at www.hsacalifornia.com, where they will find free sales training collateral, brochures, and forms to print and share with clients. SeeChange Health: Brokers can call SeeChange Health’s sales support team at 888-237-6650 or email them at Sales@SeeChangeHealth.com. Brokers can also contact their preferred General Agency to learn more about our HSA and other offerings. Sterling HSA: Brokers can contact any of our sales representatives. Their names, email addresses, phone numbers and territories are available at www.sterlinghsa.com on the Contact Us page. Brokers can also email broker.support@sterlinghsa.com or customer.service@sterlinghsa.com. Our phone number is 800-617-4729 and we’re available from 7 am – 6 pm Pacific. Personal service and account support is a hallmark of Sterling HSA. UnitedHealth Group: For more information, please visit www.united-healthcare.com. Blue Shield: HSA-eligible plans continue to generate interest from all market segments, including individual and group markets. Therefore, Blue Shield members enrolled in HSA-eligible plans span across all lines of business, from the individual and small group markets to large employers. HealthEquity: HealthEquity’s block of business mirrors the national trends – our customers range from individuals to small “mom & pop” shops to Fortune 500 companies. Each of these segments has grown rapidly in the last couple years, and we expect this trend to continue. SeeChange Health: HSA-compatible plans have matured greatly in the past several years, becoming popular with all market segments. HealthEquity: HealthEquity has a number of distribution channels. We’ve had a lot of success partnering and integrating with health plans as well as working through brokers and consultants. HSA Bank: We work with brokers, general agencies, consultants, third party administrators, and carriers. However, brokers remain our most effective channel in selling HSAs to date. Results show that over half of our business comes from this channel. As such, we have a strong focus on our broker distribution channel. We offer brokers easy enrollment options to set up their groups and individuals, revenue-sharing opportunities, a dedicated call center as well as field sales support to help close deals and provide education to groups. Sterling HSA: We are committed to the broker, agent, and consulant channel. HealthEquity: Customers of all sizes, from individuals to large employers, have been receptive to HSAs. The most recent trend, though, is that employers are realizing that an HSA-compatible plan is a good fit for the majority of their employees and they are making the decision to go total replacement. HSA Bank: HSA Bank’s 2011 Consumer Benchmark Survey results indicate no statistically significant difference between HSA participants and non-HSA participants in regards to age, income, or overall health. This debunks the myth that HSAs only benefit the young, wealthy, and healthy. HSA California: Employers looking to rein in premium increases while at the same time expanding health plan choices to employees have been most receptive. HSA California is also appealing to small-business owners looking to offer medical coverage to employees for the first time, because it is less expensive than traditional coverage and offers unique turnkey savings opportunities. Kaiser Permanente: We have seen strong growth in all customer segments including the Individual and Family, Small, Mid and Large Group segments. SeeChange Health: HSAs have evolved beyond being a niche product and have been embraced by all customer segments. UnitedHealth Group: All segments have been receptive to the HS product. Blue Shield: We have received positive broker feedback on our HSA eligible HDHPs, as these plans have proven to be an important option for brokers looking to provide plan benefit designs at more affordable price points for their IFP and group clients. In addition, HSA-eligible HDHPs are also attractive because of the possible tax and personal saving advantages. CIGNA: Brokers have been very supportive of these plans. HealthEquity: Brokers are looking for solutions for their clients. As we move forward, HSA-qualified plans appear to be a better fit than ever, so brokers are recommending them. HSA California: In today’s economy, the owners of small business are looking to reduce premiums yet still provide quality benefits to employees. HSA California takes HDHPs and HSAs to a new level by not only offering affordable benefits, but packaging three top California health plans in one program; each employee can choose a different health plan – a choice no other program in the state offers. As the market continues to change, we believe brokers will continue to adopt HSA-compatible plans as an applicable solution for many clients. SeeChange Health: Professional brokers focus on meeting the needs of their clients. We’ve seen no reluctance to sell our value-based, HSA-compatible plans. Blue Shield: While preventive care is covered on all our HSA-eligible HDHPs with low or no co-payment and all Blue Shield members can take advantage of our core wellness programs, it is yet to be determined if HSA-eligible HDHPs reduce utilization. Cigna: During the past several years, Cigna has compiled empirical data on literally millions of individuals enrolled in our CDHP, HMO and PPO plans based on claims experience that demonstrates that our consumerism products (HRA and HSA), offered as part of a comprehensive package of communication, member education and access to reliable and actionable information, substantially reduce the overall employer medical trend. Moreover, Cigna’s multi-year experience studies of CDHP plans provide evidence demonstrating that our consumer-driven health plans both improve costs and health care quality. HealthEquity: Properly designed HSA-qualified plans combined with strategic employer funding have proven successful at reducing utilization and, as a result, reducing trend. HealthEquity has a number of case studies showing how some of our larger clients have been successful at saving money with a consumer-directed approach. HSA Bank: Our data supports evidence of lower claims which makes sense because consumers shop differently with their own money. They adopt the usual consumer behaviors. They shop on quality and price and even start to adopt healthier behaviors. However, there is a distinction between HDHPs when paired with an HSA vs. HRA. HRAs do not lower claims because the employer, not the employee, owns the money. Without owning the money, there is a use it-or lose it mentality, just like with FSAs. In fact, claims for unnecessary visits and procedures can go up, not down…just to use-up the money available. In other words the wide adoption of HRAs with HDHPs has unfortunately voided the HDHPs intended low-utilization premise and actuaries are now pricing HDHPs higher relative to traditional plans to the point that the savings spread has almost disappeared. HSA California: The goal of an HDHP is to allow employees and and their families to control what they spend on healthcare. It’s still too early to tell whether utilization will actually be reduced by offering plans with higher deductibles. Kaiser Permanente: We are frequently evaluating the impact on utilization. Based on some small samples assessed, we have seen a drop in utilization with our members in HSA-qualified health plans. The lower risk factor behind this population segment may be a contributing factor. Additionally, there are also some small studies that indicate a change in behavior from these members as they become more financially engaged and responsible for their health expense. Preliminary information shows that some members have pursued alternative options – e.g., emailing their physician. We believe that it is important to have members enrolled in the high deductible health plans to receive care from Kaiser Permanente’s integrated delivery system to ensure engagement extends beyond benefit designs. Achieving sustainable behavior change also requires evidence based clinical engagement at every care encounter with market leading electronic medical record system. SeeChange Health: Not only have studies shown that HSA-compatible plans positively impact utilization, but also their relatively lower costs mean more consumers can afford coverage, reducing the number of uninsured Californians. Additionally, we believe our value-based HSA compatible-plans are uniquely positioned to help employees stay healthier and reduce health care costs for the long term. Sterling HSA: Our experience suggests that our clients are carefully evaluating cost/treatment alternatives, thereby reducing unnecessary medical utilization. Trends on a national level are below that of traditional health plans. Cigna: By providing information to help brokers understand the consumer advantages of the HSA product, providing products and processes that are easily understood by employers and supporting the member education at enrollment and on an ongoing basis. HealthEquity: HealthEquity strives to make HSAs attractive to brokers by delivering a complete, integrated solution to their clients and providing 24/7/365 customer service. This improves the member experience and reduces the number of calls the broker receives. HealthEquity also has a Broker Sales Team that can assist with new business and a broker portal where producers can access marketing material; create proposals, and manage their HSA clients. HSA Bank: They’re selling HSAs. HSA California: Education is the key. It’s important that brokers are comfortable explaining the concept of an HSA and how it can work to completely satisfy the needs of clients, employees, and families. HSA California and The Bancorp Bank provide a number of educational resources for brokers to help them better explain HSAs to clients. For more information on these materials, brokers can call us anytime at (866) 251-4625. Kaiser Permanente: Vendors can make HSAs more effective and attractive by keeping the sales process simple, supporting good communications, supporting installations and bringing effective online tools to the employer and members. SeeChange Health: Whether talking about HSA-compatible plans or more traditional policies, at SeeChange Health Insurance we’re extremely broker-centric, providing unique products that actually encourages members to see their doctor, strong training and education, and delivering outstanding service to them and their clients. Sterling HSA: We support the broker channel with sales representatives who handle their needs personally. We also offer HSA training and education. We have online toolkits for brokers and consultants who have registered with Sterling. These include analysis tools, PowerPoint presentations, and other sales material. In addition, we support the broker’s employer clients in a similar fashion. This helps our broker partners better satisfy their clients’ needs. Anthem Blue Cross: The HSA plans offer choices for all members.The member can choose to save the tax-deferred monies or choose to spend the monies to cover their individual or family medical and pharmacy claims. Blue Shield: Research indicates that consumers appreciate the lower cost of the actual HSA-eligible HDHP as well as the flexibility offered by HSAs, whether used to cover short-term medical expenses or for longer-term financial planning. HealthEquity: This really depends on the consumer. Some people keep a relatively low balance, funding their account when they anticipate an eligible expense and immediately spending the tax-free dollars. Other people are savers; they use the account to reduce their current tax liability while setting aside funds that can be used for long-term medical expenses. HSA Bank: We make brokers look good. Period. From enrollments to answering difficult questions, we have outstanding customer service dedicated to brokers and their customers. HSA California: It depends on the individual consumer. Having funds available in an HSA for short-term medical expenses is a great feature. However, the long-term advantages are equally important. The ability to save HSA funds and earn interest tax-free year-after-year, provides the unique value inherent in HSAs. An HSA is a perfect savings vehicle to add to a long-term savings portfolio next to a 401(k), IRA, or any retirement medium. Kaiser Permanente: Consumers purchase Kaiser Permanente HSA – Qualified Deductible HMO plans and open HSAs to cover both immediate and long-term medical expenses, as well as to reduce tax liability. SeeChange Health: California is a diverse state so it’s not surprising that employers are buying HSA-compatible plans for both reasons. Blue Shield: We are reviewing the HMO/HSA market trends and will be introducing new HDHPs that answer the markets needs. HealthEquity: This really depends on the consumer. Some people keep a relatively low balance, funding their account when they anticipate an eligible expense and immediately spending the tax-free dollars. Other people are savers – they use the account to reduce their current tax liability while setting aside funds that can be used for long-term medical expenses. 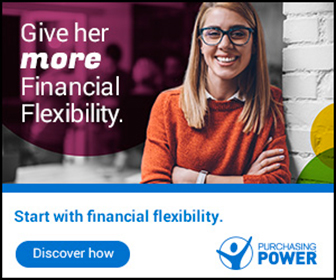 HSA Bank: That’s the beauty of an HSA – its flexibility. If a consumer needs to cover qualified medical expenses, they can do so tax-free with their HSA funds. The consumer also has the option to grow their funds through self-directed investment options with no minimum balance. HSA California: HSA California currently offers four HSA-eligible HMO plans. Brokers can call 866-251-4625 between 8 a.m. and 5 p.m., Pacific Time, for full benefit plan summaries for all HSA California plans. Kaiser Permanente: Absolutely. Since 2005, Kaiser Permanente HSA-Qualified Deductible HMO plans have appealed to all market segments, including individual and Family, Small, mid and Large Groups. SeeChange Health: We offer only PPO plans, but HSA-eligible HMOs will likely find an audience, although we don’t think it will be nearly as large as HSA-compatible high deductible plans. Sterling HSA: Several carriers already offer an HMO/HDHP plan or EPO/HDHP plan design. Blue Shield: Blue Shield experience indicates that the broker interest in HSAs is statewide. Cigna: We offer an array of individual and family plans in California, some of which are HSAs. Cigna is price competitive in this market. HealthEquity: This is not something that we are asked about very often, but there may be some interest in areas where HMOs are still a popular plan option. The interest level would depend in large part on how these products are priced. HSA Bank: Yes. And, carriers should not overlook this as an option for California. Kaiser Permanente: We are seeing demand across all geographic areas and demographics. SeeChange Health: We sell exclusively to groups of 2-to-200 employees or more. Sterling HSA: We know that the early baby boomer is very interested in choosing a HDHP/HSA product. Areas with high PPO concentration and lower pricing are high sales areas. The individual market has been a PPO market for some time and was the first to migrate to the HSA. Some individuals already have a HDHP and now have a tax-advantaged way to pay for medical expenses or save for retirement. We also see strong interest in certain geographic areas where Sterling has recently expanded, including key markets in the Midwest and the Southwest. Blue Shield: We have not encountered any issues specifically pertaining to HSA-eligible plans. Cigna: We have not encountered problems with the administration of the HSA eligible plans. One of the challenges of introducing these plans is to educate the member on the value of the plan and the tools to become actively engaged in the management and maintenance of their own health care. HealthEquity: Price is still a huge issue for most employers and individuals considering an HSA-qualified plan. Some health plans have made a commitment to pricing these products appropriately while others have not. Kaiser Permanente: When there is excellent communication to the employer and employees we do not encounter problems. It is important to provide education on how the deductible plans and the HSA work together. Kaiser Permanente and our preferred financial administrator for HSAs, Wells Fargo, have developed extensive training materials and marketing collateral for brokers, employers, employees and individuals. Sterling HSA: Pricing is imperative in an HSA plan. If the rates are competitive then the plan does not sell well. However, we have recently seen a differential in the traditional PPO and HDHP/HSA compatible plan that is supporting considerable sales of this product. Blue Shield: Blue Shield is pleased to now offer our clients an unsurpassed Account Based Health Plan (ABHP) in conjunction with our new partner, HealthEquity. We researched the market extensively before selecting a strategic Account Based Custodial vendor that can service all lines of business. This is a platform and not a banking system and was designed and developed by HealthEquity. HealthEquity’s leading technology supports releases and platform enhancements and updates twice a month and has a speed to market, which is unheard of with our competition. Our new Account Based platform offers a completely integrated healthcare experience for both members and clients. All accounts are on one platform with integrated enrollment and claims information, and flexible contribution models. We will also provide our clients with an Employer Portal with access in real time to eligibility information, contributions, fee payments, and more. Clients will also be able to run for easy reconciliation. Cigna: We have added enhanced decision support tools. One such tool is our Health Risk Assessment. Cigna has entered into a long-term agreement with the University of Michigan providing access to the use of analytics that help consumers and Cigna identify and address health risks and help employers develop worksite health and wellness programs. We also offer online coaching capability that invites immediate, active participation in online behavior change modules, pushing targeted follow-up based on HRA responses. HealthEquity: HealthEquity recently introduced an option called “Balance Protector,” a low-cost, guaranteed-issue product designed to preserve an account holder’s HSA balance in the event of an accident. HSA California: In 2011, HSA California added the Ameritas EPO 3000 Dental Plan to our portfolio of offerings. The new EPO is the ideal combination of choice and savings – allowing members to select their own dentist from a network of more than 160,000 trusted professionals, while also assuring them of savings on covered treatment and their plan premium. We also expanded our Cal Perks Employee Discount Program (offered at no cost to enrolled groups) to include an increased variety of discounts, including theme parks, water parks, paintball, sports team tickets, and more. HSA California is strongly positioned to meet all of the requirements set forth by health reform; plans are 100% compliant with health reform-related legislation. Kaiser Permanente: Aside from compliance with federal Health Care reform, We have no significant changes planned for 2011/2012, but we are always exploring ways to make improvements to meet our customers’ needs. We have expanded member support activities including proactive outreach activities to assist with employee understanding of these programs. SeeChange Health: We introduced what we believe to be the nation’s first value-based benefit HSA-compatible plans in 2010 at the request of our brokers. (Our HSA-compatible plans lower members’ out-of-pocket exposure when they complete specified actions that help them manage their health). We’re constantly listening to our brokers to improve our products. So in 2011 we began giving employers the option of choosing either a calendar year or plan year deductible period. We also modified our underwriting rules to make it easier for brokers to sell our HSA (and other plans) alongside HMOs. Based on the strong support we’re receiving from brokers and their clients we’re not expecting to make any significant changes in 2012, but we’re always open to input from the brokers we’re privileged to work with. Sterling HSA: We reduced our HSA set-up fees effective in September 2011. We also offer discounted set-up fees for groups adopting multiple products from Sterling (HSA with HRA, HSA with FSA, COBRA). Employers and employees want to understand their dental plans and they enjoy the good value they get from them. But they don’t want any of the not-so-nice surprises after they sign up or leave the dentist’s office. This is where you can help. Dental insurance proposals may look similar on the surface. But, when you dig into the plan details, you may be surprised to discover how some important differences affect the coverage and services expected. Location of Procedures. In which category do typical procedures fall? Most carriers move procedures into different categories, such as X-rays, endodontics (root canals), periodontics (gum disease treatment), or oral surgery. If you are working with a PPO, it is crucial to know whether these procedures are classified as preventive, basic, or major since it will affect rates and out-of-pocket costs for employees and their family members. Deductibles and Maximums. If the plan has a deductible, when does it apply and what is the amount? Is there a maximum amount that can be charged per family? What is the annual benefit maximum available per year? If orthodontia is included, what lifetime benefit is available? Coinsurance and Copayments. What is the in- and out-of-network coverage? For PPO plans, you should know what percent the plan pays by procedure category, typically stated as preventive, basic, or major. For DMO plans, it is important to know the members’ costs for common procedures. U&C Allowances. What “Usual and Customary” allowance is used for out-of-network providers? Not all 90th percentiles are created equal. The 80th percentile for one carrier may equal the 90th for another. Know how the carriers compare, the source of their U&C data, and how often they update their records. Frequency Limitations. How often can each type of X-ray be taken? How many cleanings are permitted per year? How many years are allowed between crown replacements? For example, one carrier may approve replacement of crowns every five years while another may extend the limit to 10 years. You need to know these details for each plan under consideration. Waiting Periods and Participation: What procedures require a waiting period before employees can access benefits? Is the policy different for current employees and new hires? What participation percentage of eligible employees does the carrier require? Extra Benefit Services. Does the plan cover dental implants? What about composite fillings in molars? Does the orthodontia cover adults? Again, producers need to know this information. Network Access. If the plan design includes a dental network, are there enough contracted providers close to the employer? Producers should know how the carrier counts the network providers including the difference among access points, providers, and locations. Extended Value. Dental plans have come a long way in the past 10 years with innovative features, such as offering carry-over maximums, sharing dollar maximums within the family, and excluding preventive procedures from the maximum. Many plans also offer significant vision, hearing, Rx, and other benefits packaged with the dental. Know what extra incentives are built into the plans that increase the value. Commission. What commission is included in the plan quotes? Do not assume every carrier is quoting the same or that they are quoting what you asked for in an e-mail. Find out. After you compare the plan components, look at the rates for each plan. What is the value equation? If proposals miss the target you want for a client, ask carriers to revise the proposal to bring it in line with what you need. • Is dental a priority or just a sideline? • Which ones are interested in helping you succeed? • Are some more proactive in sharing new ideas that may be helpful to you and your clients? • Are they accessible for meetings in person or on the phone? • Do the sales reps work with you on renewals or pass it on to a service contact that you know just as well? • Do their financial ratings show a good track record and future? • Do they offer consistent pricing and logical renewal rates? • Do they have the installation and after-sale service model important to you and your clients? • Do they really know the dental business and focus on it? For long-term satisfaction with dental plans, it is important to work with trusted carriers and sales representatives who demonstrate real value. Economic issues and healthcare reform are having a significant effect on employee benefit plans. While employers and employees value dental benefit plans, they don’t appreciate unexpected surprises on important components, such as covered services, limitations, or out-of-pocket expenses. Producers should evaluate every dental proposal against the items on their checklist to identify key plan differences. The questions offered in this article serve as a starting point for producers to determine the design that will best serve the employee group. Partner with a helpful and trusted carrier sales representative and carrier in delivering benefit plans that meet expectations. Work together to help employees assess the plan options and costs to determine those that will best meet their needs. In the end, everyone involved will be glad you took the time to explore the differences in dental plans to avoid unexpected surprises. Joe Deyo is a state manager in the Nashville, Tenn., group office for Ameritas Group, a division of Ameritas Life Insurance Corp. (a UNIFI company), with headquarters in Lincoln, Neb. Deyo has been a member of the Ameritas Group sales team for more than nine years. Ameritas Group is a leading provider of dental and vision products and added hearing care to its product portfolio in 2008. Starting in 2014, the Affordable Care Act (ACA) will substantially reform the way individuals buy health insurance, according to a report by the Kaiser Family Foundation (KFF). People who don’t get health insurance through their employer or through public programs will soon be able to buy coverage through purchasing exchanges, which will provide online comparison guides explaining the choices available. Insurers offering coverage in the exchanges must provide coverage to anyone regardless of a pre-existing health condition. Rates for the same policy will vary only by age, family status, tobacco use, and geographic area. How people perceive these changes may depend significantly on how the premiums compare to what they are buying today. KFF looked at insurer filings to the National Association of Insurance Commissioners (NAIC) to assess how average premiums in the individual insurance market varied across the country for 2010. The average monthly premium per-person in the individual market was $215, but the state-by-state range was substantial. Alabama ($136), California ($157), Arkansas ($163), Idaho ($167), and Delaware ($169) had the lowest average monthly premiums in the country. There are a variety of reasons why premiums might vary, including: the cost of living, healthcare costs, state demographics, the plans’ effectiveness at controlling costs, the benefits offered by plans, and patient cost-sharing. Though premiums are lower in some states, the people enrolled in these plans may have to pay higher deductibles or co-payments that offset the savings in premiums. Also, states that have instituted reforms in their insurance markets to make coverage more accessible, such as Massachusetts, Vermont, New York, and New Jersey, may have higher average premiums because people with pre-existing health conditions are able to enroll. Conversely, states that permit medical underwriting may have average premiums that are low because the risk pools include a healthier than average population. Starting in 2014, the health reform law will require insurers to cover a standard essential benefit package in all states and to use defined tiers of cost sharing. The minimum cost-sharing tier will require that all newly-purchased insurance in the non-group market have an actuarial value of at least 60%, meaning that the plan pays for at least 60% of the cost of covered benefits in the aggregate for a typical population. In addition, tax credits will be available to make coverage more affordable for people with incomes up to 400% of the poverty level ($43,560 for a single individual and $89,400 for a family of four in 2011 dollars). These changes should all help to narrow the variation in the insurance people buy in different areas of the country. But, a wide range of insurance policies will still be available (ranging from Bronze coverage at an actuarial value of 60% to Platinum coverage at an actuarial value of 90%), so patterns of purchase may still vary substantially across the country. The health reform law will also require all insurers in the individual market to accept everyone regardless of health status and prohibit premium surcharges for people with pre-existing health conditions. These rules should narrow the variation in how much people pay for insurance in different parts of the country, but premiums will likely continue to vary considerably due to differences in the cost of living in general and healthcare, in particular. For more information, visit http://www.kff.org/healthreform. The Commonwealth fund reports that some rate increases for health coverage provided through associations must now be reviewed by government regulators to determine whether the hikes are reasonable in the government’s view. The Nov. 1 effective date of the requirement brought association coverage under the same type of scrutiny that applies to other types of insurance plans in the individual and small-group markets. The rate review procedure, established under the healthcare law (PL 111-148, PL 111-152), requires insurers to give a detailed explanation of their reasons for raising premiums if they propose an increase of 10% or more. In some cases, state laws give regulators the power to reject rate hikes if they are deemed unreasonable. The federal government reviews rates in states lacking an effective rate review mechanism, but federal officials do not have the power to actually reject rate hikes that they say are out of bounds. “This step extends the benefits of rate review to an additional 1.8 million consumers, providing unprecedented scrutiny and transparency to health insurance rate increases,” said Steve Larsen, director of the Center for Consumer Information and Insurance Oversight at the Centers for Medicare and Medicaid Services (CMS). HHS officials said that by subjecting association plans to rate review, they are able to scrutinize a large chunk of the individual and small-group market that otherwise would escape review. “This step also guarantees that insurers can’t game the system and move coverage currently sold in the traditional individual and small-group markets to the association plan market to avoid the provisions of the rate review regulation,” an HHS official said. According to HHS data, 34 states will review association rates in the individual and small-group markets. In 10 states CMS will do some of the reviews and in 12 states CMS will review all rates for association products. HHS issued a final rule in September determining the status of association coverage under rate review. A consumer group in Texas said that without bringing association coverage under rate review, many consumers in that state would not benefit from scrutiny of premium increases. 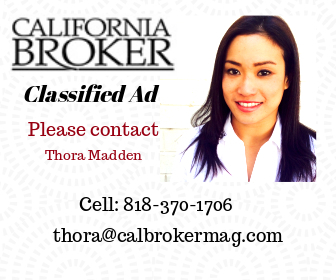 California represents one of the largest life insurance markets in the United States. Naturally, this makes the state a major market force for life insurance settlements. The state was one of the first to create regulations and licensing requirements for providers and brokers. However, the state recently changed the way insurance agents can participate in life settlement transactions, and quite frankly, among agents, confusion and a misunderstanding of the new rules are prevalent. Enough has been written about the industry that most insurance agents know that a life settlement transaction cannot exist without the involvement of a provider company, managing the details between seller and purchaser. In addition, a robust broker community has existed since the industry’s inception. For many years, an insurance agent who wanted to do a settlement for a client simply had to call a provider or broker. Times have changed. The days are over for life insurance agents calling brokers to shop policies on their behalf. Today, a life insurance agent in California who recommends a settlement must be working directly with a settlement provider; secure a broker license with the state; or become duly authorized with producer authority by the California Department of Insurance in order to earn any type of fee or consideration for the referral. Become a broker or at least get the same license. An insurance agent can file the paperwork with the state; pay a fee; and then become a licensed life settlement broker. With this license in hand, the agent can then shop policies on their own or simply refer a client to a broker and receive a commission. This license carries with it ongoing filing requirements, fees, and other paperwork required of being licensed with any state. Cut the corner, sort of, and secure producer authority. 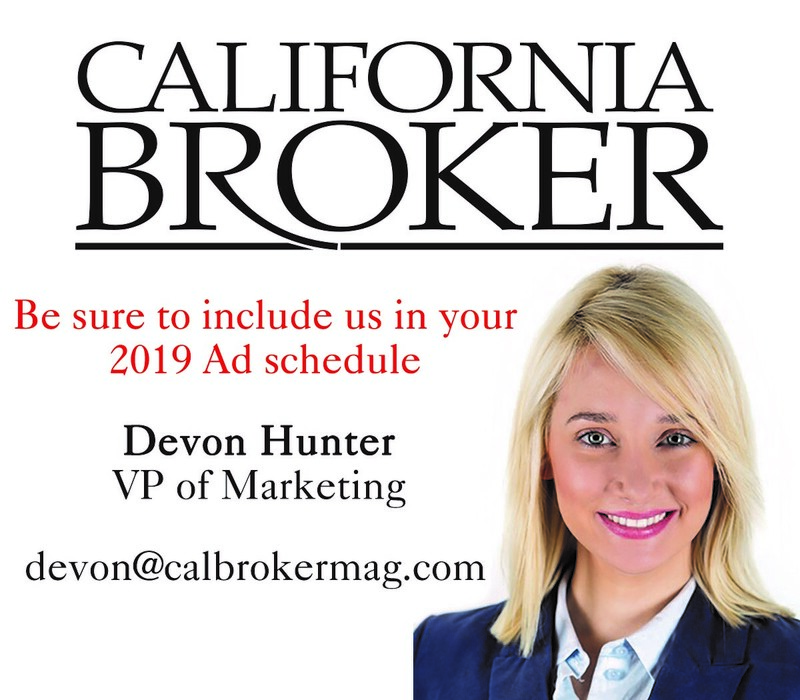 Life insurance agents who are licensed in the state for more than a year have another option by securing so-called “producer authority.” This is somewhat less tedious than the brokerage license, but requires a fee and filing with the state. Agents with producer authority can forward policies directly to licensed brokers and providers. Work directly with a provider company. Provider companies – the most heavily regulated entities in the life settlement industry – have other options, primarily because their employees are covered by the company’s license. In California, life insurance agents can work directly with providers as long as the relationship is structured in a manner that is consistent with controlling statutes and regulations. Some life settlement providers have created such arrangements, which make it easier for agents to offer life settlements with less unwanted paperwork. In defense of the California Department of Insurance, attorneys who work with the state regularly say that California’s filing requirements are similar to those in other states and are not considered onerous by comparison. In addition, the cost of securing a life settlement broker license or producer authority is generally less than $300. The main point is that many agents aren’t complying with the regulations and they may find the ongoing filing requirements tedious. Given these regulatory changes, it is important to offer a significant counterpoint: The market for life settlements in California is coming back strong after the down years following the recession. Research firm Conning recently reported that the gross market potential for life settlements for this year is $198 billion and the firm expects about $3.8 billion in total face value policies to be purchased as life settlements this year. Further, today’s retirees need all the help they can get to help fund retirement. The Baby Boom generation (the 76 million Americans born between 1946 and 1964) has begun to reach retirement age, but many of them have no savings. A recent Harris Poll confirmed that 25% of Boomers have saved nothing. However, the dire retirement picture for Boomers is counter-balanced by this generation’s unprecedented investment in insurance. Life insurance, and specifically life insurance settlements, can come to the rescue. International Communications Research recently conducted its own study of Baby Boomers, which found that an overwhelming number of Boomers and seniors (79%) feel that financial planners and life insurance professionals should inform policyholders about life settlements as a financial option rather than letting a policy lapse due to not paying premiums. In California, the market for life settlements is growing and will continue to be bolstered by retiring Boomers. Life insurance agents are on the frontline and can make a major impact, as long as they learn and follow the newest regulations. Stephen E. Terrell is senior vice president of Sales, Marketing, and Public Relations of The Lifeline Program, a life settlement provider based in Atlanta, Ga. Terrell oversees all aspects of marketing including the P3 Program (Production – Performance – Profit) which enables agencies and agents to build a new market with life settlements, broadening revenue and increasing commissions. For more information, call 770-724-7300 or visit www.thelifeline.com. Or follow him on Twitter@LifelineProgram. A number of provisions have already been implemented under the Patient Protection and Affordable Care Act (PPACA). Now in 2012, another provision of the law will be implemented. This part of PPACA deals with the requirement of employers to report the cost of their employee health plans on the employee’s W-2 in 2013. The goal of this reporting requirement is only to inform employees of the cost of their healthcare coverage. It does not cause excludable employer-provided health care coverage to become taxable. The Treasury Department and IRS recently issued interim guidance (Notice 2011-28) about the upcoming W-2 reporting requirement. Starting in 2012, many employers will be required to report the aggregate cost of their health plan on their employees W-2 forms issued in January 2013. The reporting of this information is required under section 6051(a)(14) of the Code within PPACA. Grandfathered plans and self- insured plans must comply with this Code. There is some relief for small businesses. Compliance is optional for companies that will issue fewer than 250 W-2s in January 2013 for the year 2012. What Must be Reported On the W-2? The aggregate cost of applicable employer sponsored coverage must be reported on the W-2. “Applicable employer-sponsored coverage” is defined as coverage under any group health plan that an employer makes available to the employee and that can be excluded from the employee’s gross income under Sec. 106. In most cases, this includes the portions paid by the employer and the employee even if the employee’s contributions are pre-tax. What Must be Included in Aggregate Cost Reporting? • Coverage under a medical plan (including combined medical-dental or medical-vision plans). • Contributions by an employer to a health flexible spending arrangement if the amount of the health FSA exceeds the salary reduction elected by the employee for the plan year. • Coverage under an executive medical plan including executive physicals. • Coverage under an employee assistance program. • Health benefits provided at an on-site medical clinic. • Mini-med or limited medical plans. • Employer contributions to hospital or fixed indemnity plans or specified illness plans. • Wellness benefits if considered health benefits under the plan. • Medicare supplemental plans and Medicare Advantage plans. Which Plans Should Not Be Included In The Aggregate Cost Reporting? • The amount contributed to a health savings account. • Any coverage for long-term care. • Any coverage under a separate vision or dental benefit policy. • Coverage only for accident, disability income insurance, or any combination thereof. • Coverage issued as a supplement to liability insurance. • Liability insurance, including general liability insurance and automobile liability insurance. • Workers’ compensation or similar insurance. • Automobile medical payment insurance. • Other similar insurance coverage under which benefits for medical care are secondary or incidental to other insurance benefits. • Coverage only for a specified disease or illness. • Hospital indemnity or other fixed indemnity insurance. • The cost of coverage provided under a self-insured group health plan that is not subject to any federal continuation coverage requirements (for example, a church plan. • Government plans for the military and their families and Indian Tribal Government plans. • Cost of coverage under a health reimbursement arrangement (HRA). • Contributions by an employer to a multi-employer plan. How Is the Aggregate Cost to be Determined? For fully insured plans, the aggregate cost reported is the premium that the carrier charges. For self-insured plans Notice 2011-28 states that employers “may calculate the reportable cost under a plan using the COBRA applicable premium method.” Therefore until further guidance is provided, self-insured plans can use one of two methods to calculate the aggregate cost, the actuarial method or the past cost method. It is important to note that consistency in how the aggregate cost is calculated is critical; be sure it is handled the same for active employees and terminated employees within a plan. Since W-2 Reporting Is Calendar Year, How Do We Handle the Calculation Of the Aggregate Cost If Our Benefit Plan Is Something Other Than Calendar Year? All reporting must be based on costs for the calendar year regardless of the employer’s benefit plan year. What Must be Reported For Employees Who Terminate Employment Or Change Their Coverage Due to a Qualifying Event Mid-Year? The reportable amount for 2012 would be $3,000 plus $7,200 or $10,200. The employer must track actual coverage for each employee over the year and base its reporting on the specific elections. If the plan year is not calendar year, the reportable amount must reflect a combination of the old costs plus the new costs for the applicable months in addition to the plan and tier employee election. If an Employee Terminates Mid-Year and Requests Their 2012 W-2 at the Time Of Termination, Are Employers Required to Put the Health Plan Cost On the W-2? No, if the terminated employee requests their W-2 other than January of 2013, the employer is not required to include the aggregate cost. Where Will the Aggregate Cost be Reported On the W-2? The IRS issued a draft of the W-2 to be used for 2012. Box 12 using code DD will be used for the reporting of the aggregate cost. The aggregate reportable cost is not to be reported on Form W-3, Transmittal of Wage and Tax Statements. If an employer will be subsidizing COBRA premium due to a layoff or other reason, they may be required to add this to the aggregate cost calculation. Further guidance is needed about plans that are not required to report the aggregate coverage cost. A company that moves employees from one entity to another will need to determine the reporting process. The employer is not required to issue a W-2 to retirees or people on COBRA for the reporting of their aggregate health plan cost unless there is another reason they must issue the person a W-2. As mentioned previously, the IRS has delayed reporting for small employers and multiple employers for now. Further guidance will be forthcoming. Sima Reid is the President of twentytwenty Insurance Services. She has over 30 years experience in the insurance industry specializing in the development of employee benefit programs for regional and national employers, self- insured employer medical plans and managed care captitation stop loss/reinsurance products for health care providers. She can be reached at 562-496-3760 or sima@twentytwentyins.com. Whoever said, “Many people look forward to the New Year for a new start on old habits,” may have gotten it right. While beginning a new year may be little more than a faint line in the sand, it can be useful for adjusting old business habits and assumptions in light of changing conditions and new opportunities. As a recent Forbes’ report points out, “With the economy in the state of flux, consumers are being understandably conservative in using their credit cards.” The Federal Reserve indicates that household liabilities, which rose to 135% of disposable income in 2007, has been sliding steadily and was at 119.3% most recently. While this focus shift has retailers reeling, it may indicate that some consumers are thinking more about their future, rather than just about today. Instead of being preoccupied with spending, they are planning ahead. This is a good omen for life insurance producers since it creates an opportunity to gain prospects’ attention and to share with them strategies for making their future more financially secure. As of December 31, 2012, the $5 million per-person estate, gift and generation skipping tax exemption ends and reverts to $1 million with a 55% maximum tax rate as of January 1, 2013. This means that time is of the essence since no one knows what the future holds, particularly at a time when the government has a seemingly insatiable appetite for revenue. To give clients breathing room and greater flexibility, it may be appropriate, for example, to suggest survivorship policies. With low prices, this strategy will maintain client insurability and give them time to weigh possible options. • Term Life – Look for a slight bump in term life sales since some carriers are introducing term insurance on a UL platform. This allows insurance companies to put away lower reserves. Also, expect the rates to be fairly stable or even drop slightly in 2012. • Guaranteed Universal Life fades away – If there was ever a product with high consumer appeal, it was guaranteed UL. And why not? It gave clients the assurance they wanted, particularly as they reached retirement age. It remained this way as late as 2010 and would still be today, if it were cost effective and readily available. But, as we all know, the story has changed. Even though the demand exists, some carriers are exiting this market or pricing themselves out of it and producers will be seeking alternative solutions for their clients. • Whole Life lives – This is an exciting time for life insurance sales. And there’s every reason to believe the year ahead will an exception. What’s driving it is the breadth of product choices. It’s interesting to note that whole life sales showed 5% growth in the first quarter of 2011 and 10% in the second quarter, according to a LIMRA report while term life sales continued a long decline. This upturn is certain to grab the attention of more carriers. Whatever the need, there is an appropriate solution and this includes the use of permanent life insurance. It can be particularly valuable in providing supplemental retirement income and meeting estate and business planning needs. • Current assumption UL has consumer appeal – Today’s consumers want to control their destiny and, with a choice of options, current assumption UL plans offer a high degree of flexibility including cash value provisions. Since the cost is based on current interest and mortality rates, consumers benefit from greater product transparency. With current interest rates at an all-time low, these plans should perform well if rates increase in the future, which makes them even more attractive. • Indexed universal life steals the show – Needless to say, this product has attracted the attention of both producers and consumers. IUL has a strong appeal since it can serve as an income stream for retirement and college planning, as well as a permanent death benefit. With such flexibility, it’s easy to see why it’s popular with consumers. At the same time, this is a product with a substantial number of moving parts that make it more difficult to understand. This is why producers need to take the time to learn how to sell it before venturing into this growing market. • Life/long-term care hybrids offer sales kick – While individual LTC policies have been on the market for about 20 years, sales have never taken off, mostly because of cost, policy provisions, and a track record of failed products and re-pricing. Producers complain about the amount of time they spend with clients, only to have their efforts fail to produce sales as prospects change their minds. On the other hand, the so-called “hybrid” products seem to be overcoming consumer objections and worries. Although there are variations in policies, all send the message that a purchaser can have it both ways, permanent life insurance and long-term care protection. While no one policy can meet everyone’s needs, the hybrids are gaining traction since they offer a high comfort level and make LTC more affordable. 4. Competition in the year ahead. To quote the late comedian, Jimmy Durante, “Everybody wants to get into the act!” That’s just the way it is with the marketing of life insurance products today. Along with life agents, the list of players includes banks, wirehouses, accountants, property & casualty agencies, and online marketers, among others. The message should be crystal clear: avoid complacency at all cost. Ignoring new products and strategies can prove dangerous. It isn’t just jumping on the product bandwagon. Producers must be competent in knowing what works and what doesn’t. Some products are flawed, while others may not be a good fit. A producer’s value rests in knowing the difference. All this suggests that producer opportunities are enormous for the foreseeable future. And it isn’t just because the demographics are right. While it’s popular to talk about Boomers, Millennials and other segments, such discussions may be overrated because they miss the point. Perhaps, far more significant is a basic economic shift that has occurred. Although, it began a couple of decades ago, it has been greatly exacerbated by the Great Recession. A growing segment of consumers now recognize an essential fact: they are responsible for their individual economic destiny. They are looking for financial products that give them flexibility and the ability to decide how to tailor those products to their needs. This is a message that looms large throughout any discussion today, including this one. The life insurance industry has the tools to deliver what consumers want. However, it remains an open question if we have the will and determination to meet the challenge. Kenneth A. Shapiro is president of First American Insurance Underwriters, Inc., a national life insurance brokerage firm based in Needham, Mass. and specializing in coaching growth-oriented producers. He began his career with Northwestern Mutual Life and later worked for The Guardian Life Insurance Company. He can be contacted at 1-800-444-8715 or kshapiro@faiu.com. With the landscape of the industry rapidly changing, now is a crucial time to look at the ins and outs of disability coverage – including guaranteed renewable only policies. In this article we examine preferred wording for ideal policy definitions, terms and conditions. Guaranteed renewable only policies allow carriers to raise their rates if claims and other negative factors increase – allowing them to remain profitable. The better policies are also non-cancelable. This combination allows the rates to be guaranteed up to age 65 and without any contractual changes. The cost difference between the two types is about 20%. Policy wording should say, “When it first manifests” rather than “when first contracted.” The difference is significant, especially if the disability is caused by cancer. Under the first definition it would be covered even if cancer existed when the policy was issued, but had not yet appeared or caused a prudent person to seek medical attention. Under the contracted definition, it would not be covered, if it could be proven to have existed before the effective date of the policy. This definition allows the insured to be paid the monthly benefit even if the insured is working elsewhere as long as it is another occupation. Some carriers offer an own-occ specialty definition. This definition might be necessary for someone who has a skill that could be transferred to another similar duty, for example, a surgeon. Without this type of a definition, they could be expected to teach or became involved in some related discipline in the medical field, and as a result, might not be considered totally disabled. As previously mentioned, be careful if a dual occupation exists, since the claimant must be disabled from both in order to be considered totally disabled. This definition allows the insured to be paid if they can’t perform the material duties of their occupation and are not gainfully employed elsewhere. Whether to work or not becomes the claimant’s choice. This definition only allows the insured to be paid if they can’t do the material duties of their occupation and are unable to work elsewhere, by reason of education, training and experience. Some carriers include the insured’s prior economic status. This definition gives the carrier more control of the claim. There can also be a variation of the above. It would be a split definition that gives a pure own-occ definition a for a few years (usually five) and changes to “not working,” or “unable to work elsewhere.” The least desirable to the insured is “unable to work elsewhere” because it protects the company from those who may be malingers (these are claimants who prolong the disability rather than going back to work because they would rather remain on claim.) Your client would be paid under the residual definition as described below if they returned to work, there was a loss of income, and they had a residual benefit option. A loss of earnings policy doesn’t have a total disability benefit or an own-occ definition. The claimant must have a loss of income no matter where they are working (in any occupation) in order to collect. For example, benefits will be on a tax-free basis if there is a 30% loss of income; the policy pays 30% of the monthly benefit (proportionately). While it does pay proportionately, it is important to note that the insured starts off with a possible 40% shortfall, at least. This is because the carrier’s participation tables only cover approximately up to 60% of income (net income, if self employed). Higher income people get less than the 60% down to even 30%. Higher issue limits are available if the premium is employer paid. However, these benefits are then taxable and are not available to self-employed people, unless they are a C corporation. The following explanation further illustrates the financial differences between own-occ and a loss of earnings policy. So far, no one has been able to present a compelling reason for siding with one or the other. Hopefully this addendum will put the argument to rest once and for all. The first observation that can be drawn from the above is that the typical carrier issued a tax free benefit amount of $11,400 a year less than the annual after tax income from earnings. The industry issues a lower amount compared to net profit (or W-2 earnings) in order to prevent malingering. This shortfall will rear its ugly head as the scenario unfolds. The own-occ contract allows the occupationally disabled person to work in another occupation and earn additional income (with no cap) on top of the tax-free $4,800 monthly benefit. This $4,800 monthly benefit will increase each year up to the COLA percentage issued, beginning with the 13th month of total disability as a result of the implementation of the COLA option. The additional other occupation earnings can help close the shortfall or can even exceed the pre-disability after tax annual earnings of $69,000 and the initial annual tax-free benefit amount of $57,600. Remember, with the COLA option, the monthly benefit keeps up with inflation up to the issued COLA percentage. A proportionate benefit is paid when the claimant returns to work in any occupation and suffers a loss of earnings greater than 15% to 20% (some carriers require 25%). The claimant must prove the amount of the financial loss for each month for which benefits are to be paid. A doctor’s report must verify that the loss was caused by the disability (and not as a result of an economic downturn). This is also true for a residual claim under an own-occ contract and when contrasted with an own-occ total disability claim. (It only requires a doctor’s statement verifying it’s the disability that caused the inability of the claimant to no longer work as a CPA, etc.). You’ll obviously conclude that, compared to a residual claim, an own-occ total disability claim is relatively hassle free, but not completely. You must also prove loss of earnings each month, etc. As illustrated above, a total disability claim with an own-occ, definition has potential financial advantages. The single advantage that the loss-of-earnings policy has over the own-occ policy is that the cost is less expensive. Depending on the claim, the loss of earnings policy will probably generate a lower combined amount of total monthly income. This obviously represents how long someone will be paid in the event of a covered disability. Most policies, other than some issued years ago, are payable only to ages 65 to 67 or for one to two years past 65, depending on the disability’s onset age. Clearly, the longer the benefit period, the higher the premium will be. One carrier offers a graded lifetime benefit, which simply states that the insured will get a reducing percentage of the base benefit amount paid for a lifetime, depending on the onset age (beginning at age 45 or 55). The full amount will be paid to age 65. • Pre-disability earnings period – Typical contracts state that, in order to establish a baseline to measure the loss of earnings, they will consider the previous 12 months or any two consecutive years within the last five, whichever is most favorable to the insured. There are also some other combinations. • Pre-disability income included or excluded for the loss/earnings calculation This can be a significant factor if the claimant is in the service industry business (doctor, CPA, attorney, for example.) and has some accounts receivable (pre-disability earnings) paid during a period of disability. The calculation will generate a lower loss of income if the contract does not allow these to be excluded. The payment will be smaller as a result. Conversely, if these are excluded, the loss of earnings percentage will be higher and a larger benefit will be paid. • Qualification Period – This is the number of days that the insured must be totally disabled before the residual benefits can start. Carriers that have this type of restrictive period usually limit it to 30 days. Most companies do not impose this qualification period at all; they allow periods of residual disability to count towards the elimination periods as well. As previously mentioned, the definition of “current income” can make a big difference in the monthly benefit the insured can be paid after the elimination period for a covered disability that has not been excluded from coverage based on a pre-existing condition. Should income be based on actual cash received, the accrual method, or on what is earned and received after the start of a disability? • Cash Method – If a contract defines income based on the cash method it counts all money received as income. This method penalizes a claimant at the beginning of a claim. When calculating the benefit, it counts all money received as income (for example, accounts receivable, renewals, etc. ), even though the money was earned months before the disability. However, this method does benefit a claimant who returns to work because the cash method defines income when it is received, not as billed or earned (accrual). • Accrual Method (Billed Earned) – A contract that uses the accrual method defines income as earned at the completion of a task or, in other words, when billed. It ignores the fact that this billed amount may not be received until months later. This method is beneficial to a claimant in the early months of a residual disability claim. Billings before a disability (accounts receivable renewals, etc.) don’t get included or count as income when received. However, as a residual or proportionate claim lingers on, any subsequent billing will count as income even though the claimant has not yet received payment or may never receive payment if it’s uncollectible. • Earned & Received Method – Companies that use the earned and received method embody the best of the cash and accrual methods to provide the largest benefit dollars to the claimant. Money is counted when received. It excludes money earned before a disability. This method is particularly beneficial for fee-based clients who carry large receivables, such as therapists, attorneys, accountants, doctors, dentists, salespersons, and others with delayed income or commissions. Which is best? Both the accrual and cash methods have drawbacks while the earned and received method contains the best of both worlds. This benefit allows a person, who is no longer under the doctor’s care, to be paid as if they were still disabled (even though they have returned to work full-time) as long as there is at least a 15% to 20% loss of income. For, example, a doctor or CPA who has seen their practice and their network disintegrate while disabled, can return to work and still be paid while their practice is being rebuilt. Benefits would continue to be paid even though they are fully recovered, until earned income reaches 80% of pre-disability earnings. Again, some companies offer this benefit, but for different periods, such as 12, 24, 60 months and some for the full benefit period (age 65). • Cut off age this option as part of the coverage in the contract – Typically, at age 50, you can no longer apply for this option, although a few companies will issue it up to age 55. • Cut off age for exercising the option and whether the option can be exercised and paid during a current claim (older policies only). I haven’t seen any company allow this option to be exercised past 55. • Cost of Living Adjustment option – This allows the monthly benefit to be increased beginning with the 13th month of a covered disability to keep up with what inflation. There are some COLA differences among companies including the basis for increase, CPI, and guarantees. • Conditionally renewable after age 65 – Most policies are renewable to 75 (after age 65) while others offer renewability for lifetime (only if gainfully employed. The minimum is 30 hours a week). • Loss of income percentage under the residual benefit – It is necessary to also be deemed to be totally disabled besides the own-occ definition (for example, most policies say 75% while a few use 80%). Obviously, the lower the percentage, the better the contract. • Benefit Amount – Normally, one should get as much of a benefit amount as needed and allowed by the insurance carrier, and when doing so, should not rely on Social Security disability. This is true because it is very difficult to get Social Security Disability in view of the fact that they have approximately a 72% denial rate. What other premium structures are available other than level to 65 (assuming it is a non-can policy)? There are two other types of premium structures that are available from some carriers, which are initially lower. They are designed to subsidize someone who is starting a new practice and wants to keep their premium cost as low as possible. As time passes and income increases, these initially lower premiums can be converted to a level premium, but at attained age rates, which will be higher than if the rates were level from inception. These lower premiums are referred to as “graded” or “step rate.” Using unisex rates is another way to lower rates for females whose rates are typically higher than their male counterparts by approximately 20% to 30% depending on age (all else being equal). Larry Schneider is a disability specialist with over 35 years of experience. He’s had over 40 articles published, lectured to many of the nation’s leading associations, CPA’s etc. and has appeared on television talking about contractual differences between policies offered by the insurance industry. He is an expert witness/consultant for claims which have been inappropriately denied and a national resource for hard to place applicants as well as a brokerage for standard cases. He has developed a turn-key system for selling disability insurance in use by many of the careers. For more information visit the DIRC website at www.di-resource-center.com. Schneider can be contacted via e-mail at info@di-resource-center.com, or via his toll free number 800-551-6211. First: If you sell or plan to sell Workers’ Compensation or if your brokerage/agency has a Property/Casualty division servicing your client, you need to coordinate and understand the total insurance program and how it affects your client. Second: There are positive and negative effects to the employer’s Workers’ Compensation program based on the benefit and/or voluntary plans you have recommended or your client has in place. Third: The Workers’ Compensation program accesses medical providers which can overlap in the Benefits program and there are issues in cost shifting between the programs. In fact, over the year’s Workers’ Compensation medical costs continue to be 50% to 60% of total Workers’ Compensation costs. A recent study identified that 58% of workers’ comp costs are medical. This has been historically consistent ranging in the high 50’s to low 60’s. This is why you see terms and programs such as MPN’s (medical provider networks) and capitation with the 24hr products. They are seen as a workers’ compensation carrier’s way of controlling those costs. Now with PPACA it is projected that treatment facilities are expected to defer to full payment sources like the workers’ compensation carrier. The Chartis study also projected that medical portion of the injured workers claim will advance to 70% by 2018. We can assume the public and the practitioners will use the Workers’ Comp system if it can get them faster access to medical care, have the practitioner paid at potentially higher rate and on a timely basis. Workers’ Compensation was the first “No Fault” system that has been “Protecting the Worker” since early 1900’s! 1. The employer pays for the cost of insurance and is not liable for worker injuries. 2. The worker is guaranteed their injuries (medical) and lost time wages (indemnity) are covered by insurance. Historically, in this simple mandatory no fault system but the lawyers, politicians and the medical communities have seen opportunity in becoming involved ultimately affecting how the systems works for the employer and the employee. We are entrenched in the system where everyone is attempting to affect the cost drivers and service to the injured worker. The efforts include workers’ compensation reform, open rating, MPN’s, medical standard of treatment, etc. In all states workers’ compensation coverage is required for an employer with W2 employees. The coverage must be provided by a licensed workers’ compensation insurer or an approved self-insured employer. It is the responsibility of the California Department of Insurance (CDOI) to oversee the financial health of licensed workers’ compensation insurers. It is the responsibility of the Department of Industrial Relations (DIR) to ensure that funds are available to pay the claims of all self-insured work injuries. CDI protects consumers by investigating and prosecuting companies and licensees accused of insurance code violations, including fraud. The National Insurance Crime Bureau (NICB) estimates that workers’ compensation insurance fraud is the fastest growing insurance scam in the nation. SB 1218 (1991) was established to combat workers’ compensation fraud by making the crime a felony. It also requires insurers to report suspected fraud and establishes a mechanism for funding enforcement and prosecution activities. Insurers have established special claims units (SIU’s) to deal with suspected fraud cases. 2. The State Fund for the residual market. The residual market typically is startup businesses, high experience modifiers/high losses and classifications that the standard markets do not write or have declined. In addition, The California State Fund can write standard risks and compete with other carriers for that business. 3. Self-Insurance is typically for Large Companies who have the assets to post a bond with the State to cover all current and future Workers’ Comp losses. California had a minimum rate law prior to 1995. That meant all carries charged the same rate for each workers’ compensation classification. There are approximately 501 class codes reviewed annually by the Workers’ Compensation Rating Bureau (WCIRB). Class codes are by job classification within the employer and identify potential hazard/risk character of the job preformed. An employer may have multiple class codes for their operations. Rates were determined by combined experience of all CA carriers and calculated by the WCIRB. Carrier’s underwriters then evaluated risk and chose to accept or decline on a company by company basis. Carriers competed on the service component of Workers’ Compensation which included Loss Control/Risk Management, Claims Control, and Premium Audit services. Open Rating was established in 1995. Under this system the WCIRB establishes an advisory base rate by classification and carriers are able to file their rates above or below that rate. The WCIRB base rate is still a combined experience of all carriers in the state. Each carrier then files with the DOI their class code rates based on their evaluation of the advisory base rate. These filings can have rates above the advisory rate or below the advisory rate. Underwriters now use their carrier’s individual filed rate for each class and then can apply underwriting credits/debits on each quote. Underwriters depend on the service components to implement programs that justify credits/debits in the quote pricing. Since 1995, of the 207 Comp Carriers licensed in California, 28 workers’ compensation insurers with assets exceeding $10 billion have been placed in conservation, under supervision, or have been liquidated by the California DOI or in their state of domicile. Most recently (4/11), the California Department of Insurance placed a carrier that ranked 16th of the 207 companies with 1.52% of 2009 Comp market into conservatorship under the commissioner’s direction. In California, workers’ compensation rate deregulation implemented by the Legislature in 1995, coupled with reduced claims costs and the availability of cheap reinsurance initially drove down rates in the late 1990s as insurers competed for California market share. Employers are on a Workers’ Compensation rolling earthquake here in California! Below is the WCIRB# chart on written premium in the state note the dip in 1995 when the open rating system was implemented. Carriers competed for market share by filling lower rates and applying maximum underwriting credits. The next chart shows carrier experience as a result of underwriting practices to gain market share and their response to return to profitability. Combined Ratios shows for every $1.00 in premium collected the carriers it cost the carrier $1.85 in losses and expenses in 1999! Note these two charts are reverse images of themselves for same time periods as carriers charged higher premiums to recoup losses. As a result they became profitable and total premiums increased to 23.5 billion in 2004. As can be seen projected for 2010 there has been a slight decrease in Combined Ratio but carriers are not profitable at costs of $1.25 for every $1.00 collected! This next chart# shows the effect on employer premium. Employers pay their worker’s compensation premium based on the classification of their exposures. There can be a number of classifications within each employer’s workforce. Premium is calculated by $100 of payroll for each classification. Here again is a correlation between the charts as rates were increased carrier profitability improved, as rates decreased carrier profitability declined. Some of the reason for Employer’s Rolling Earthquake is a result of open rating and workers’ compensation reform in early 2000’s. California’s legislative reform and carrier response to the anticipated reform controls has reduced comp costs from an average of $6.47 per $100 for coverage in 2003 to $2.34 in 2008. The advisory pure premium rate in 2009/2010 was $1.74 per $100 of payroll. The 2010 average carrier rate was $2.39, up from $2.38 in 2009. Here you can see the effect of the carriers combined ratios of 130% and 125%. The average rates filed and applied to employers were $.65 higher that the advisory rate. There was to be a mid-year 2011 rate increase based on the WCIRB actuarial committee studies of 39.8% increase were implemented, the advisory pure premium rate would be $2.43. The earth continues to rumble for Carriers, Brokers and their Employer Clients! “The Workers’ Compensation Insurance Rating Bureau (WCIRB) is officially recommending a 1.8% decrease in the recommended pure premium rate. It is calculated against a new measure – when that rate is measured against the industry’s average filed pure premium rate of $2.37 per $100 of payroll. The end result appears to be a marked difference from the near 40% increase it was suggesting the industry needed this spring, One committee member who spoke to Workers’ Comp Executive off the record said that the current average rate per $100 of payroll under the approved pure premium rates are roughly 40% less than the $2.33 the Bureau is now recommending. Welcome to the world of California Workers’ Compensation! It is a delicate dance of legislators attempting to keep insurance carriers capable of profitably and continuing to write business in California while balancing the need to keep costs down for the California employer. Ed Ryska Managing Principal Worksite Resources, LLC. has 35 years of experience in Property Casualty Risk Management, as well as Sales and Regional Management. He has held Executive Officer positions in four California Workers’ Compensation Carriers and with two National Carriers.